As new contract plays out, local drivers will make less than their counterparts elsewhere in Atlantic Canada. Here is a comparison of transit operator wages in the major Atlantic Canadian cities. Moncton is not included as their contract expired in 2010. At that time they were earning $21.50/hr. I did not consider signing bonuses or other perks (St Johns Nfld gets $450/year in lieu of 15 min breaks and free passes for their families, for example). As you can see Operators in the largest and most cosmopolitan city in Atlantic Canada are (or will be) the lowest paid. It might be a good idea to get that info out before all the nurses, firemen, policemen, welders etc start quitting their jobs and applying at transit. My numbers come from the ATU Canada site, where all public ATU collective agreements are posted. Free bus fare provided to protect drivers from rider anger. Halifax’s transit strike is over. Tuesday, both the Amalgamated Transit Union and the Halifax city council voted to accept a new contract between the two. Mechanics went back to work Wednesday; ferry service will resume Thursday and full bus service Friday, after 43 days off the road. In reward for their great patience, transit users will receive free service for the rest of the month. Additionally, February bus passes will be valid for the month of April. Free fares will have the additional benefit of bringing ridership figures up---after the last strike, it took a full year to get ridership back to pre-strike levels. As for the contract, it appears the city got everything it wanted. The price tag for the new contract complies with all long-term budget projections previously adopted by council and, wrote Metro Transit manager Eddie Robar, the contract includes “rostering, wage steps, a new accident review policy” and a wage offer that is less than the offer rejected in a union vote on February 24. See Robar's report here. The union accepted rostering, albeit with the provision that the union can tweak the roster list so long as it doesn’t leave more than 10 open shifts. The deal also includes a $4,000 signing bonus, but reflecting lost pay from the strike and no other pay raise this year, that amounts to about a one percent total annual raise. The $4,000 however, will not be compoundable into the two percent annual raises for years two through five of the contract. Council votes tonight; buses could be rolling by Friday. Members of the union representing striking Halifax transit workers have voted 88 percent to accept a contract offer from the city. Halifax council will meet tonight at 6pm to vote on the same contract. That meeting is in closed session, but an announcement will be made immediately after. I'll live-blog the meeting on Twitter (twitter.com/Tim_Bousquet) and report results here. Should council accept the contract, mechanics will likely start work tomorrow, with the expectation that full service will resume Friday, although exact details won't be known until tomorrow. An interview with conciliator John Greer, who helped bring both conflicts to an end. Over the weekend, two important labour agreements were reached. 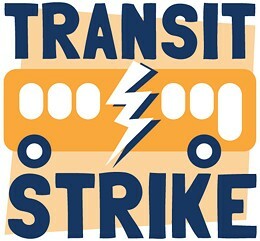 Dalhousie University came to an accord with the Dalhousie Faculty Association, averting a strike scheduled to begin today, and Metro Transit and the Amalgamated Transit Union hatched a deal that may soon bring an end to the 39-day strike by transit employees. Both agreements are tentative at this point, and must be ratified by union membership and the managing public agencies. For the transit strike, city council has scheduled a meeting for 6pm tomorrow, and union members will vote earlier in the day. No votes have been announced for the Dalhousie Board of Governors or the Dalhousie faculty, but these votes are less pressing now that a strike has been avoided. The two agreements were both brokered by the same man: conciliator John Greer, who is one of four conciliators employed by the provincial Department of Labour and Advanced Education. On the weekend, Greer was shuttling back and forth between four meeting rooms at the Holiday Inn Harbourfront. "I wore out a pair of shoes," says Greer, laughing. It was just coincidental that both negotiations came to a head at the same time, says Greer, but he had been handling both issues for months, and knew them well. "Having worked with them for quite some time, I knew that both of them would take time to go over the issues, so my only worry was that I might be a problem for them, but it turns out that I wasn't---the timing worked out that if anybody was inconvenienced it wouldn't be any more than 10 minutes." How does one become a labour conciliator? "The only thing we have is neutrality," says Greer. "The independent third party." Greer is 56. He worked for CBC as a technician, and so was in a union. He left that job to go to law school, then practiced law independently for eight years. In 1996 he went to work for the province, and ended up working on various health department contracts with its public employee unions. He's been a conciliator since 2004. Asked for details about the back-and-forth of the transit and Dalhousie negotiation, Greer demurs, although he says he "believes" that premier Darrell Dexter's announcement last Wednesday that the province will extend an exemption to the Dal pension plan "had an effect." I asked Greer if the transit deal centred on allowing some form of the existing scheduling with a cap on overtime, but he wasn't biting. "I'm just happy I was able to leave the hotel last night with both sides saying they've reached an agreement," he says. Now that the transit and university cases seem resolved, Greer and his three colleagues go back to work on the 30-to-40 other labour negotiations currently under way in the province. "As you know, all the health organizations are lining up," says Greer. "In that industry, there are probably in excess of 80 different collective agreements" coming up in the next few months. "It's going to be hot and heavy here, in early spring---and I'm getting that from the premier saying we can't afford to give the kind of wage that the nurses in arbitration got, but the unions are going to say, 'please, they got it, why shouldn't we?' It's going to be interesting." Since he's been at the job both before and after the financial collapse of 2008, I asked Greer if, before the collapse, it was the case that both public agencies and private companies were able to contain immediate labour costs by promising increases in pension benefits that they thought the ever-growing stock market would let them over. "That's exactly right," he answers. "We're in changing times, and sometimes labour relations become more strained trying to find a way through." Transit Strike Transit union rejects city's "final offer"
Seventy-eight percent of members reject contract that insisted of rostering. Transit workers have rejected a contract offer from the city by 78 percent, meaning there is no end in sight to Halifax's 22-day-old transit strike. The offer, billed as the city's "final offer" contained the controversial rostering proposal, which would fundamentally change the way schedules are set. As well, it had a $1,500 one-time payment for workers as soon as the contract was signed, but no raise this year. The proposed contract length was for five years, with just a nine percent raise over the entire period. The transit union executive committee made no recommendation to union members, and simply brought the contract up for a vote. Listen to union president Ken Wilson address the press here. Metro Transit prepares to use managers to drive Access-A-Bus. The city has announced that Access-A-Buses will be on the road Monday, driven by managers. Union members say they have safety concerns about managers driving, but city spokesperson Shaune MacKinlay tells me that the managers have Class 2 licences, which are superior to the Class 4 licence required to drive the Access-A-Buses. MacKinlay says the managers are going through an intensive two-day training on the handling passengers side of the business, but union people tell me this training typically takes weeks. "When training drivers go out and drive, they get used to the feel of the bus for a while," explains one driver via email. "Stop go over the steps, hands on... on how to load and unload a passenger and properly secure the passengers. Trust me, doing that in two days is unsafe. What happens if they get into a stiuation where a passenger gets stuck on the ramp and the driver doesn't remember what to do? An AAB union driver has been put through the tests time and time again, and there wouldn't be that uncertainty." I don't know how to assess the two sides of the argument, but there's at least some concern that the managers may not be up to snuff---today, one of the managers drove a conventional bus into a door at the Ragged Lake transit garage, taking out the door, confirms MacKinlay. The union people tell me the driver in that accident was none other than the manager responsible for.... collecting accident reports. MacKinlay couldn't confirm that. Transit Strike / Profile Driver Adam Francis and his wife are on strike. He worries about his mortgage, car payment and how to provide for his children. I caught up with Adam Francis at the Bridge Terminal this morning. We ducked into the bus shelter to get out of the rain. Chose bus driving as a career so he could schedule time with his kids. Metro Transit driver Matt Faulkner contacted me to talk about why scheduling is such a big issue for him, and so I met him at the Sportsplex this morning to hear him out. Drives split shift on the #1. Elaine Crouse and her husband are bus drivers. ATU 508 will make a counter-offer to the city tomorrow, he says. Roach was walking the Bridge Terminal picket line today. Most of the Metro Transit strikers are picketing at either the Burnside or Ragged Lake bus garages, but a small contingent continues to gather at the Bridge Terminal. Today I spoke with Lewis Roach, a 34-year driver. Roach mentions the AVL program; I've been trying to get more information on that issue, and will report it as soon as I get it. Twenty-five year driver goes the extra mile on the picket line. I went by the Bridge Terminal this evening to talk to striking bus drivers, and found only this lone striker, Tony Rygiel, who goes by the name Trooper. I'll simply let Trooper tell his own story, via the recording below, but the exchange gives me the idea to regularly interview the strikers, to give a human face to this contract dispute. Rather than admit its management failures, Metro Transit blames drivers for its $3 million deficit. Metro Transit is hemorrhaging money. It is the only city department that has failed to meet its budget, this year alone being about $3 million over budget. This is a real problem, a big problem. It should concern taxpayers, and it rightly concerns councillors and city staff. But during the on-going transit strike, the issue of driver scheduling is being zeroed in on by city administrators as the cause of budget problems. It's true that overtime for drivers is a cause of Metro Transit's budget woes, but that's being overstated and blame is incorrectly being placed on the drivers. Let's step back and examine the issue completely.